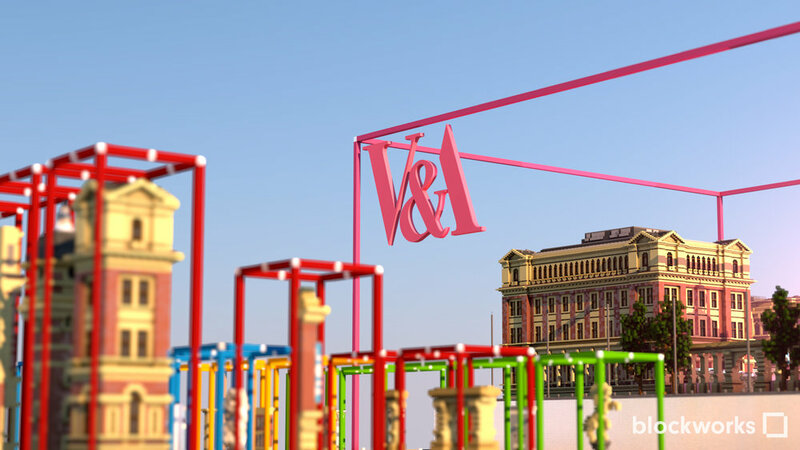 To develop and produce a workshop to celebrate the opening weekend of a major architectural project at the V&A, the Exhibition Road museum entrance. Firstly we recreated the new design for the Exhibition Road entrance, a stunning project by AL_A architects. We then developed a custom tool which allowed workshop users to design their own masterpiece at the V&A, using a selection of pre-built architectural assets. Workshop attendees logged on to our custom Minecraft server, where they could collaborate to design their own extensions and alternatives to the V&A museum. The best design, jointly judged by BlockWorks and the V&A received a 3D print of their own Minecraft design. Over 200 young people took part in our weekend workshop, producing a wide range of impressive creations ranging from courtyard gardens and water features to fractal torchlit halls and rainbow glass entrances!